Gently scalloped edges and curves on these generous sized pieces add grace every time you set the table. Its rich cream color makes French Countryside a perfect base pattern to mix with colorful accent pieces. A best selling pattern, a complete suite of accessories is available to create a classically stylish casual dining statement. Expertly crafted from stoneware. Microwave and dishwasher safe. We usually think of a spoon rest on the stove, but use one whenever you need to protect your counter and table from messy flatware or utensils. 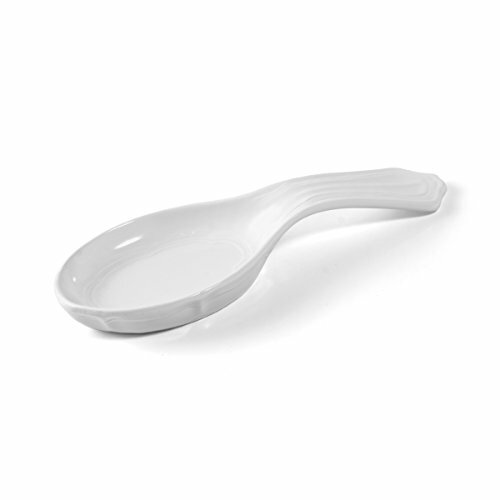 Spoon rest measures 10 inches long.